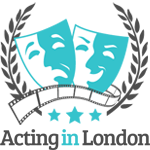 An actor’s showreel (or demo reel) is a short montage of video clips with that particular actor’s involvement. It serves as actor’s portfolio of the work they have done. 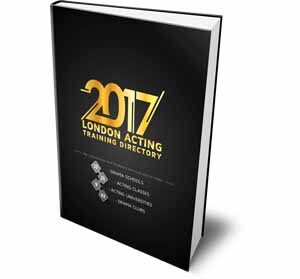 It’s a valuable addition to your marketing tool-set and is a great way to promote your amazing acting skills, and show people how talented you are. Demo reels (or showreels) are normally submitted alongside your headshot and acting CV; they never go separately. It’s the THIRD thing agents and casting directors are going to look at, after your #1 headshot and #2 resume, and the one that usually makes a really strong impression (if it’s done right). Remember how we always say that YOU are the product in this business? Consider showreel as your personal commercial. It has to sell you! It has to be so good so that talent agency would want to sign you and casting directors would want to hire you. This is the tool worth investing in, but it’s more complicated to acquire. 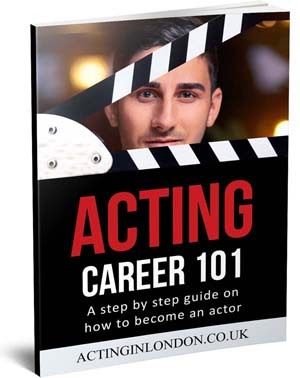 It’s a valid question from someone who’s just starting out as an actor. Showreels are made out of the filmed footage in which you partake as an actor. Normally, this footage is taken out of more than one production, and only parts of your absolute best performance should be used. Unfortunately, it’s a bit of a catch-22 situation: you need demo reel to get hired, and you need to get hired to get demo reel. The good news is that while showreels are highly valuable for self-marketing purposes, they are not an absolutely necessity. There are student and even low-budget productions that might take you on based of your headshot and resume alone. After you’ve gotten lucky with such an opportunity and the filming wrapped up, you’re going to have to ask the director or producer for the video material. They will not send it unless you ask, and even then it can sometimes turn into a battle — not everybody will comply. Keep in mind that most Actors Unions (Equity, SAG, etc.) specifically state that productions MUST supply material to those actors who participated. It’s against the rules not to. So if that was a Union project, it’s going to be easier to deal with them. Otherwise, you’ll have to kidnap director’s dog and demand your footage as a ransom. Once you’ve got a hold of the necessary video clips, it’s time to create your demo reel. Do not try to do it yourself, unless you’re a skilled video editor. A lot of actors think it’s easy to cut up some video clips, but it’s much more difficult than that. There’s a reason why Academy Awards has a nomination for Editing — it’s also art. There won’t be a problem to find a place where professionals will do this for you; you can do everything online. Make sure to research and find the best value for the price. Try to prioritize places where they work with actors on a regular basis. Also, most definitely take a look at their portfolio to see if you like the work they do. 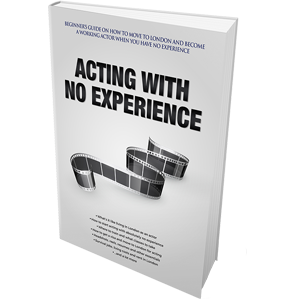 Most starting actors make their demo reels way too long. I understand that we chose this career because of our inclination to narcissism, but we need to tone it down a notch. 15-20 minutes of watching just one person can get too much even for their mother. Remember how I said since you’re a product, this has to be your commercial? Always think about your showreels that way. Commercials are short, pretty, immaculate and germane. That’s what your showreel has to be! The last point cannot be stressed enough. Talent agents and casting directors are busy people. They see tens, and sometimes hundreds of actors in one day. There’s no time for them to sit through long demo reels. Chances are they won’t even sit through the whole 3 minutes. It’s likely the decision whether you’re right for the part or not is going to be made in the first minute or even 30 seconds, that is why your absolute best material has to come up first. If you’ve ever seen the show Entourage, you might remember the episode where Ari Gold, the agent, put on a CD to check out actor’s demo reel and it started off with an actor speaking right into the camera: “Hi, my name is … and this is my demo reel.” Then you see Ari’s eyes lowering and hand coming up to his face. That’s very accurate. You only have ONCE chance to make a great impression on that producer who agreed to take a quick look at your actor’s showreel. You need to make it count, get the emotional response from that producer. 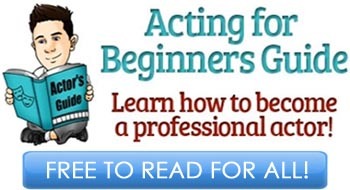 You have to make sure that this very short commercial is going to sell you as a talented and professional actor.